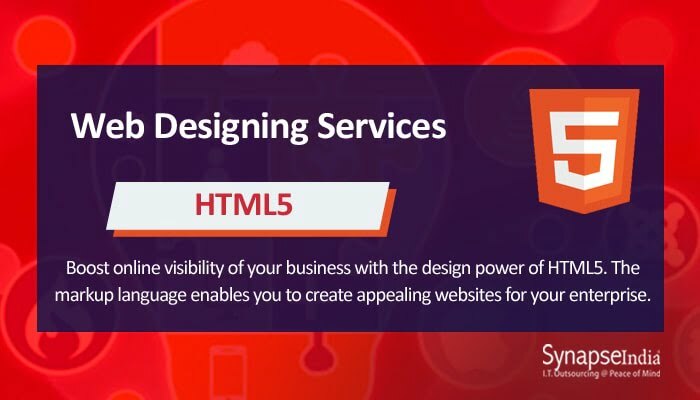 SynapseIndia offers a hand-picked range of web designing services that are equipped with the power of technologies like HTML5. Articulate designers and web development experts at SynapseIndia understand that a good user experience will lead to a longer time spent on a website, along with creating a higher volume of traffic and a desirable amount of social share. Therefore, designers at SynapseIndia are focused on not only making creative designs but also creating designs can bring financial benefits to the clients by prompting higher conversion. Mobile browsing surpassed desktop in 2017 and this trend will become stronger over time. With an astronomical growth of the global smartphone market, mobile apps have become some of the most ubiquitous commodities in the digital. These all make the significance of a mobile-friendly website more crucial than ever. Designers at SynapseIndia are focused on designing more fluid and intuitive user experience, which results in more elegant and sophisticated web solutions. And it has become evident that more brands will shift toward a mobile-first strategy while expanding their digital landscape. Use of technologies like the HTML 5 web development platform enables the designers to make an innovative and responsive design. Moreover, a combination of attractive content and appealing graphic design makes the website distinctive, and increase conversion. Manish Ahuja, a blog expert by profession, knows how to deliver perfect blogs for various services such as cloud computing, game development etc. From the blogs written by him, it is evident that they are the epitome of knowledge sharing. His expertise and brilliance to deliver unique blogs is what that makes him stand out of the box. Free consultation starts here. Send us a message with some information, ask a question or just connect with us to see how we can help you.